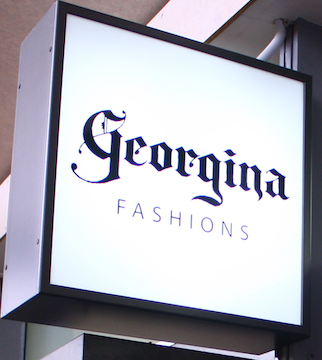 Georgina is an upmarket fashion boutique. We specialise in a range of New Zealand designed and made labels as well as select European labels. We also carry a large selection of New Zealand Merino and Possum knitwear. Our store is well worth a visit as we are constantly updating and trialing new labels. Some of the labels we currently stock are Optimum (also sold under the Royal label), Noble and Wilde, Bayroad Merino, Bridge and Lord, See Saw, Tourallie, Matisse, Olsen, David Pond, Toby, Moke, Cashew, Smashed Lemon, Ooby Ryn, Vassalli, Macjays, Cotura and Tres Femme.